The typical New England household will spend around $3000 to heat their home this winter. There are a lot of things you and your family can do right now to reduce those heating bills as much as 20 percent or more with simple actions that don’t cost too much. Every degree you lower the thermostat reduces your fuel costs by about two percent. Keeping your home at 68 degrees in the winter, rather than 73 degrees will typically save about 10 percent in fuel bills. Lowering the temperature even further when the house is empty or when everyone is sleeping will also reduce your heating bill. 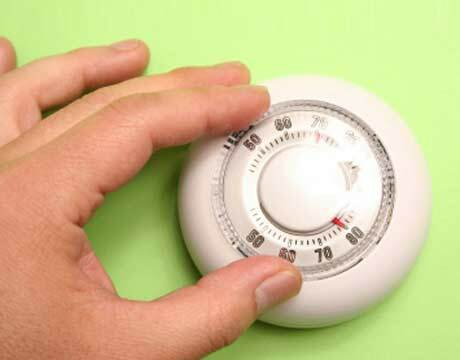 If you keep forgetting to lower the temperature manually, a programmable thermostat can help. (“Set it and forget it.”) These cost about $50 but will pay for themselves in the first heating season. There’s a common misconception that it takes more energy to raise the temperature of a previously unoccupied home to a comfortable range than it does to maintain that temperature consistently regardless of whether the home is occupied or not. This simply isn’t true. If no one is going to be home, turn the heat down; you’ll save. Having your heating system cleaned and serviced regularly could reduce your fuel costs by 10 percent or more. Getting your system professionally serviced now reduces the likelihood of needing emergency service come January. As a general rule, oil systems should be cleaned and serviced annually, while gas systems should be serviced every other year. Since all conventional heating systems produce carbon monoxide as a byproduct of combustion, getting your system checked is a safety issue, too. Change the filter in a forced hot-air system monthly during the heating season to help keep the system at peak efficiency. Most homeowners can change the filters themselves.